With debts weighing down on most people, the overall financial situation in Canada is far from being reassuring. However, this is about to change with Qodicy.com, an online financial company which has created a revolutionary web-based personal finances management application called "Qodicy SmartWallet®." In a Wall Street Journal article dated end of 2012 and titled "Risks are mounting in Canada," the author Alistair Macdonald confirms that "After scratching out a faster recovery than the U.S. and most developed nations, Canada is facing its strongest economic headwinds in years, including falling commodity prices and ballooning personal debt." The Time Magazine reported in November of the same year, also based on The Wall Street Journal: "Borrowing to buy property has helped make Canadians some of the most leveraged consumers in the world (...). Household debt is now 163.4% of disposable income in Canada, close to the U.S. level at the height of the subprime crisis." The overall financial situation is far from being reassuring. Debts are weighing down on most people, living uncertain about their financial future and that of their families. Yet a hope lies in the horizon. Today, Qodicy.com, an online financial company, has announced the launching of a revolutionary web-based personal finances management application dubbed "Qodicy SmartWallet®". When asked about the nature and function of the application Mr. George Kaadi, Founder and CEO at Qodicy.com said: "Qodicy SmartWallet® is an absolutely free web-based financial management application that helps individuals gain financial freedom, one step at a time. With no software to download, no pin number required and a step-by-step comprehensive interface, it's hassle-free and totally secure." 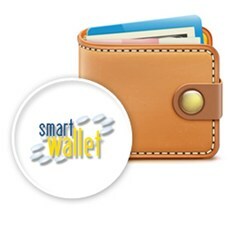 Using a set of exclusive and unique financial tools, Qodicy SmartWallet® can help individuals organize their finances using the exclusive Startup Wizard and understand their current financial situation with the Net Worth Dashboard and other powerful analytical tools. Individuals can also draft realistic budgets using the exclusive Balanced Budgeting tool to match their income with their expenses. But what's really innovative about the application are the "What if Analysis" scenarios, helping individuals visualize different financial outcomes when inserting different variables. Accordingly, Qodicy SmartWallet® enables individuals to develop detailed plans, to manage and increase their cash flows on daily, monthly or yearly basis, in addition to showing them how to pay off their mortgage quicker with the Mortgage Plan Analysis; to meltdown their debts using the one-of-a-kind Debt Elimination Planner; and to grow their savings amongst other things. Dany Markez, a married 25-year-old Telecom Professional at 5MC, Ontario who recently started using the Qodicy SmartWallet® application commented: "Qodicy SmartWallet® has become my personal financial expert that goes with me wherever I go. Our bills were piling up and our financial obligations were just getting out of control, with all the cumulated debts and simply not enough revenues to pay back. With Qodicy SmartWallet® I managed to develop a customized step-by-step workable plan that helped me and my family change our spending habits and improve our cash flow management, allowing us to pay off our mortgage, eliminate our debts and even start saving up. All of that for free and with an incredible ease-of-use; it practically ran itself. Qodicy SmartWallet® has saved my life." As such, an application like "Qodicy SmartWallet® is helping individuals regain control over their financial lives by giving them access to professional financial tools that are easy to use. The application takes things a step further offering members the opportunity of consulting with a financial expert of their choice by browsing the Expert Link section where thousands of financial experts are listed and can be reached for more in-depth advisory. One might think there's a catch; but there is none. Just an incredible opportunity to be stress-free and live debt-free with Qodicy SmartWallet®.